The PX2700 series is being discontinued on May 1, 2019. Please see the PX2650 or the PX2780 as a possible alternative or contact our Pressure Engineering department. 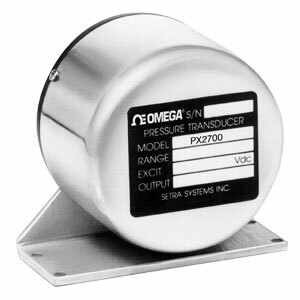 The PX2700 transducers use an extremely accurate capacitive sensor to provide excellent accuracy, repeatability and long term stability. Each unit is digitally calibrated using custom ASIC and multipoint mapping techniques to achieve very high performance.